Katy Perry and Kacey Musgraves kicked off the medley of Parton's biggest hits by singing "Here You Come Again" before they were joined by Parton wearing a sequined, white dress. Parton was being honored as the Recording Academy's 2019 Musicares Person of the Year. Next came Maren Morris to sing Neil Young's "After The Gold Rush" with Cyrus and Parton, with the trio showing off their powerful vocals with an acapella section of their performance. A tribute was paid to Dolly Parton in honor of her newly awarded accolade during a gala event at the Los Angeles Convention Center. Little Big Town performed "Red Shoes" with Dolly before all the stars ended the tribute with a rendition of "9 to 5". 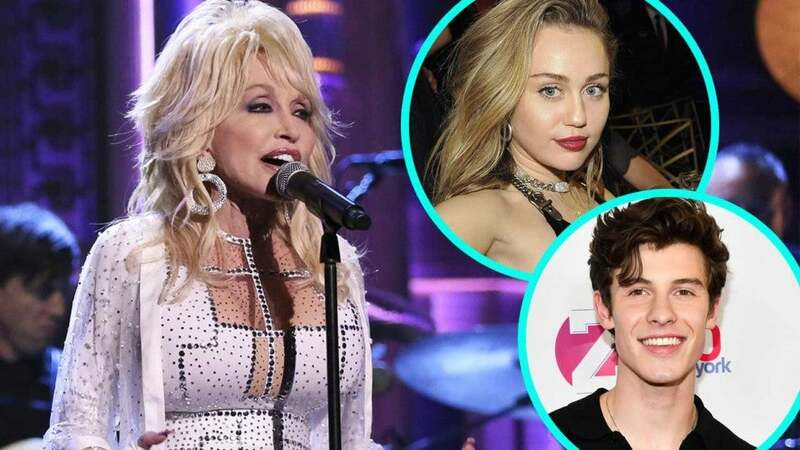 Maren Morris, from left, Dolly Parton and Miley Cyrus perform "After The Goldrush" at the 61st annual Grammy Awards on Sunday, Feb. 10, 2019, in Los Angeles. Pictured: The singer attending MusiCares Person of the Year at Los Angeles Convention Center on February 8, 2019. Additions included Pink, Willie Nelson, Shawn Mendes and Brandi Carlisle.